Aisha has a passion for working with others to develop innovative solutions to complex social problems. She combines her interests in organizational development, strategy, innovation, entrepreneurship, creativity, cooperative development, community organizing, and social justice in her own work as well her work with clients. 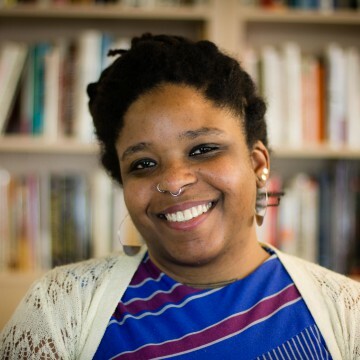 In addition to her work at IISC, Aisha is a member of the Intelligent Mischief creative collective, and is working on ways to build capacity amongst emerging leaders in the Movement for Black Lives. Aisha’s purpose, through IISC, is to increase the capacity of social change and next system groups to achieve their social justice and systems change goals by supporting them in embodying and practicing the values and skills of collaboration. Aisha has an MSW from Boston College with a focus on community organizing, and an MBA from Simmons College with a focus on social entrepreneurship. She enjoys riding bikes, making art with found objects, traveling and dreams of a world when we are all free.